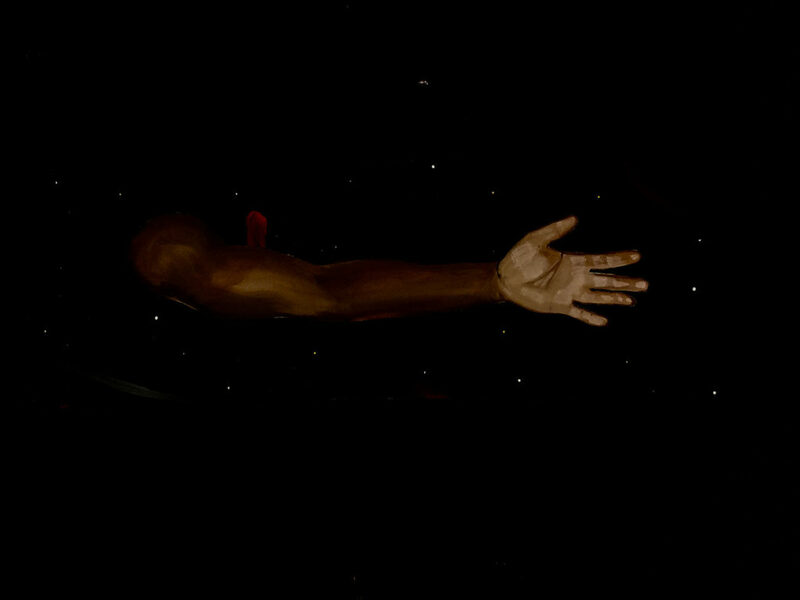 The Piano Craft Gallery invites you to The Creation of Man, a solo exhibition of works by Jamaal Bonnette. The opening reception is March 1st from 6 to 9 pm. 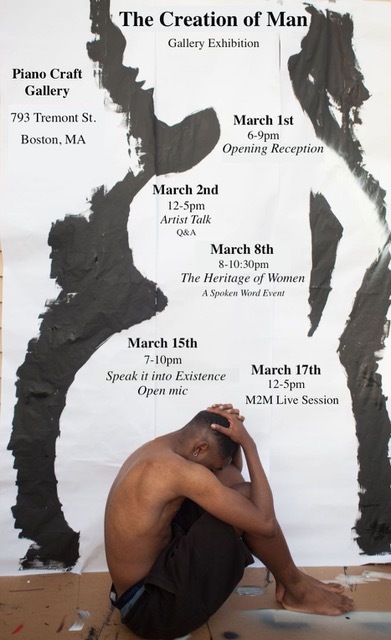 In addition, Jamaal will be holding an artist talk from 12-5pm on March 2nd, a spoken word event titled The Heritage of Women on March 8th from 8-10:30pm, Speak into It: an open mic night on March 15th from 7-10pm, and an M2M live session on March 17th from 12-5pm. 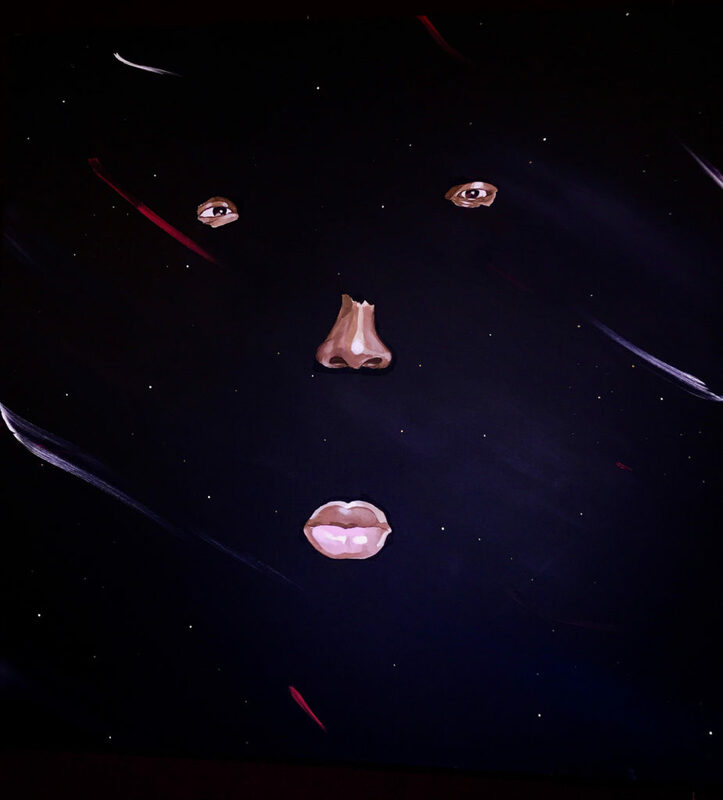 Jamaal Bonnette is an artist and poet out of Brockton, Mass. 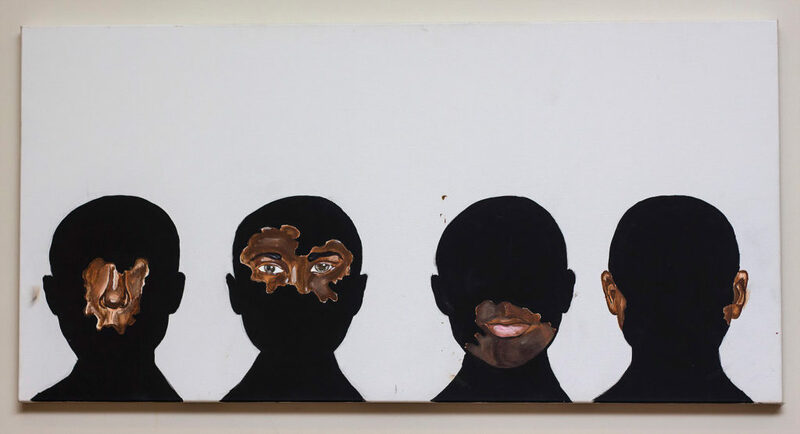 Also known as Barry, Jamaal has been painting and displaying his work since its early inception in 2014. House, Savvor Night Club and in Rhode Island as part of Bond Brotherhood Art Show. 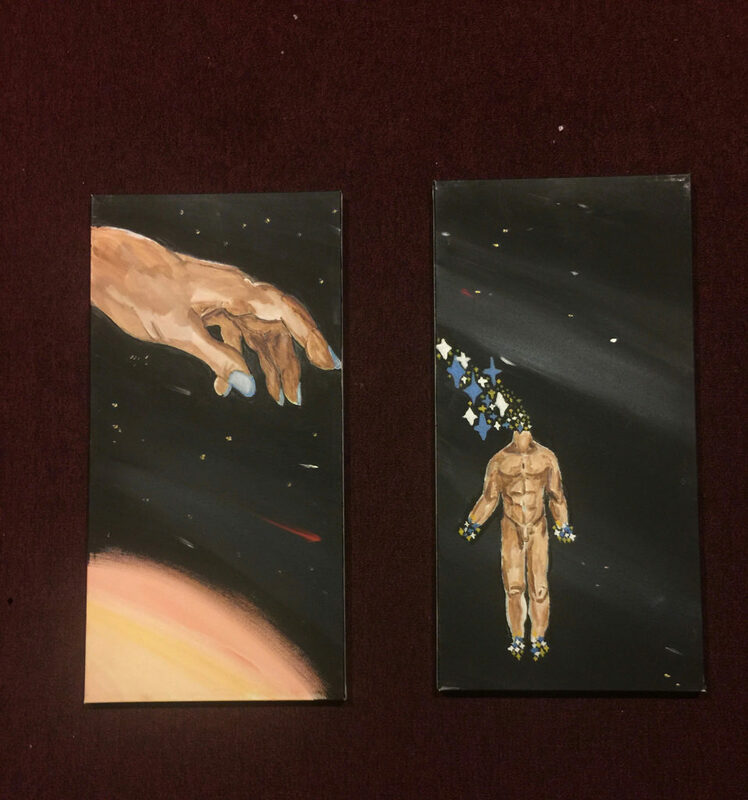 "I’ve created this body of work to document my spiritual journey re-connecting with myself. I’ve imagined my new found journey on finding myself a re birth. 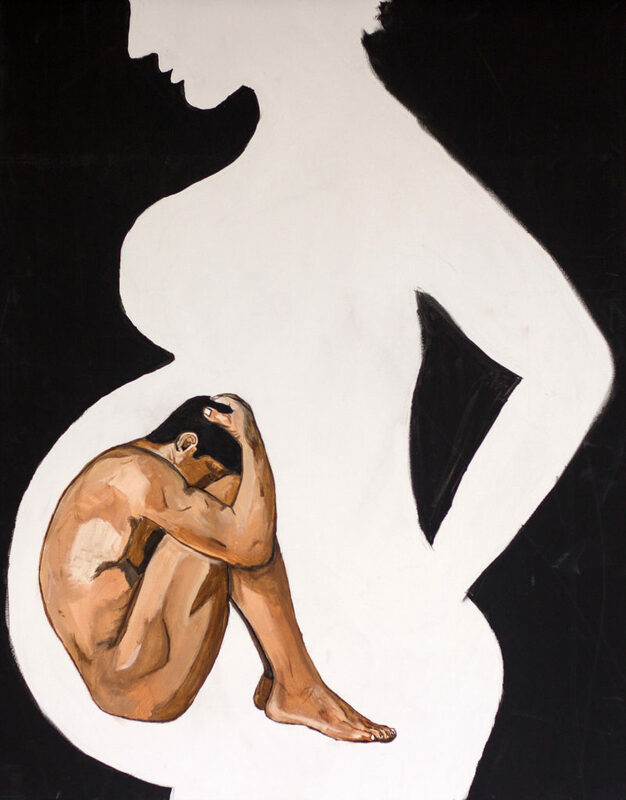 This rebirth is not depicting the stages of pregnancy, but the stages of how one puts one's mind back together. The idea of losing and finding yourself. Depictions of fear & uncertainty but also peace, because spiritual journeys are not just wary, but peaceful. I put together a presentation in stages of birth. From pregnancy of the mind to realization of life. The significance in understating what is growth and how to flourish through it. The pieces of work are in succession of each other, tying the process of spiritual growth to actual birth in unison. The chronological order of events highlight different stages of ones natural growth, and ones spiritual growth."